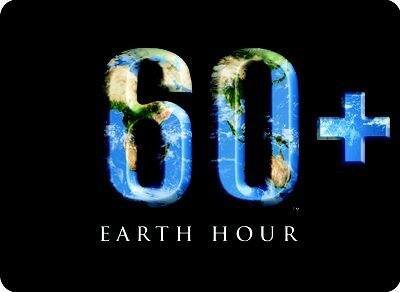 Earth Hour 2013 will take place tomorrow from 8:30 p.m. until 9:30 p.m.
Earth Hour 2013 will take place this Saturday from 8:30 p.m. until 9:30 p.m.
Earth Hour is a global environmental initiative in partnership with World Wildlife Fund. Earth Hour is a simple idea that quickly turned into a global phenomenon. Hundreds of millions of people around the world turn off their lights for one hour on the same night, to focus on the one thing that unites us all—our planet! It is easy to forget how much we depend on the planet for so many things like food, fuel, water and fresh air and that the actions we take—from the energy we use to the food we buy—have an effect on the world. Earth Hour is our chance to make and show our commitment to protect our planet not just for one hour a year, but every day. Earth Hour began in one city in 2007 and by 2012 involved hundreds of millions of people in 152 countries across every continent, receiving reports as ‘the world’s largest campaign for the planet’. Jessica Alba is this year's Earth Hour Ambassador. She is asking everyone to sign the Earth Hour-2013 Pledge. Across the globe landmarks will go dark for the hour. The United States landmarks that are participating are the Empire State Building, Rockefeller Center, the United Nations, Niagara Falls, the Las Vegas Strip and Los Angeles International Airport. Set a good example for your children. Do something good for Mother Earth tomorrow! Subject: LongIsland.com - Your Name sent you Article details of "Go Dark for Earth Hour"